A Taiwan native, Cindy Chen immigrated to the United States when she was 9 and lived there ever since. She started writing at age fourteen and started writing longer works of fiction in 2013 when she first participated in National Novel Writing Month (NaNoWriMo). At age sixteen, she was awarded second place at the Georgia PTA Reflections contest in the literature category with her short story “To Believe,” and at age seventeen, she published her first book titled Sounds of War as part of her high school senior project. 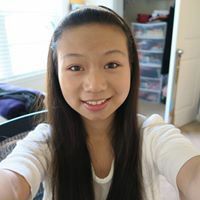 Though currently a student at Cornell University with the hopes of pursuing a career in the medical field, she enjoys playing the viola, blogging, and making youtube videos in her spare time and considers writing one of her g A Taiwan native, Cindy Chen immigrated to the United States when she was 9 and lived there ever since. She started writing at age fourteen and started writing longer works of fiction in 2013 when she first participated in National Novel Writing Month (NaNoWriMo). At age sixteen, she was awarded second place at the Georgia PTA Reflections contest in the literature category with her short story “To Believe,” and at age seventeen, she published her first book titled Sounds of War as part of her high school senior project. Though currently a student at Cornell University with the hopes of pursuing a career in the medical field, she enjoys playing the viola, blogging, and making youtube videos in her spare time and considers writing one of her greatest passions. To ask Cindy Chen questions, please sign up. Cindy Chen hasn't written any blog posts yet. Cindy Chen is now friends with Jaye C.
We’d love your help. Let us know what’s wrong with this preview of Song Yet Sung by James McBride. Thanks to Netgalley for providing me an ARC for review. I actually just started reading this boo Thanks to Netgalley for providing me an ARC for review. I actually just started reading this book without having read too much into the synopsis (usually I think about it a lot more before I decide to pick up a book). It’s classified as general fiction on netgalley but I would probably also classify it as historical and Christian fiction. The general vibe of this book reminded me of Sarah’s Key--and the format is more or less similar. The difference is in the protagonists’ stories and of course, the time period in history they decided to look into. If you’re a fan of those types of stories, then I highly recommend this book to you. We’d love your help. Let us know what’s wrong with this preview of The Space Between Words by Michèle Phoenix. We’d love your help. Let us know what’s wrong with this preview of The Lost Letter by Jillian Cantor. I took a break from reading fiction for a little while, just because the last couple books were complete "misses" and I've been having a really hard time finding a book I liked and could finish without cringing too much or having to take a break from I took a break from reading fiction for a little while, just because the last couple books were complete "misses" and I've been having a really hard time finding a book I liked and could finish without cringing too much or having to take a break from because I didn't like the plot. This one's it! I wouldn't say it was a "home run" in terms of books, but it's definitely enjoyable and well written, both from a plot standpoint and a writing standpoint. I wouldn't recommend it for everyone though. It's more or less a "glorified love triangle" plot (if I were to really simplify the book), so if you're not really into romance plots and want to stay away from any sort of love-centric plots, then this book probably isn't for you. I think it was a love triangle done well, though. In a lot of books that I've read that do feature love-triangles, the plot is cliched and usually features one dislikable, melodramatic girl indecisive over two guys. Water for Elephants has a clear protagonist and antagonist, and throughout the book I really just wanted to root for the "right" couple. But, there is more to the plot between Jacob and Marlena. There's also a flash forward, flash back aspect to the book, with Jacob as a 90-year-old man in a retirement home. There's also the subplots with the other circus men. It's a rather colorful novel set in the backdrop of the depression and prohibition. We’d love your help. Let us know what’s wrong with this preview of Sounds of War by Cindy Chen.